As an AMSA ProMover and Angie's List "Super Service Award" winner, our movers can relocate your household anywhere in the country! Your household is so much more than the furniture, decorations, and appliances within it. 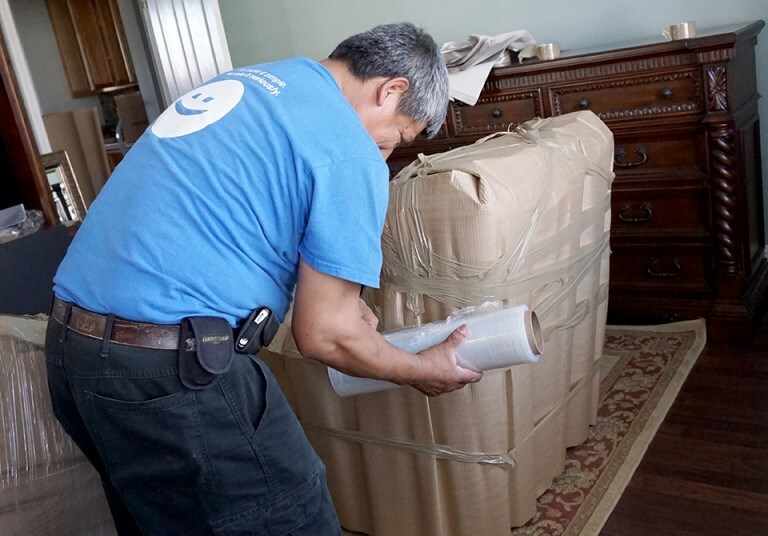 Instead, it’s a collection of priceless memories, family heirlooms, and everything that your family cares about most—and you need Berkeley movers who will treat it as such! That’s why you can rely on Upline Moving. A family-owned moving company with more than a decade of experience, we take a deeply personal approach to household moves, recognizing that every relocation has a real and lasting impact on the family behind it. We’ll treat you with the care you deserve from door to door, no matter how far you may have to go. Since 2008, Upline Moving has built up an unmatched reputation in the Bay Area, thanks in large part to our highly specialized relocation services. What we mean by that is that we only offer household moving! This niche approach sets us apart from other Berkeley moving companies and allows us to streamline our household services for maximum efficiency at minimum cost. Regardless of the distance you have to travel, Upline Moving is more than capable of meeting your family’s needs from start to finish. Unlike many other movers in the area, we always tailor our moving packages to each client’s budget, schedule, and service priorities—delivering just the right move for a price that’s suitable. Local Movers in Berkeley: Our family-run company is based in the Bay Area and has been working here for over a decade. We’ve even earned the “Best of San Francisco” award for our industry-leading knowledge! Long Distance Moving: Going across hundreds or even thousands of miles? That’s no problem for our nationwide movers! We offer custom crating and air-ride technology to keep your belongings safe over long distances. Because the team at Upline Moving specializes in household moving, we’re able to offer a degree of flexibility that many other Berkeley moving companies can’t. Even if your moving date is coming up quickly, we can still assist you! With the Berkeley movers of Upline Moving, it’s never too early or too late to get started. All it takes is a quick phone call or online form submission, and we’ll be in touch to schedule your free moving survey and flat-rate, no-hidden-fees quote. Contact us now to begin!